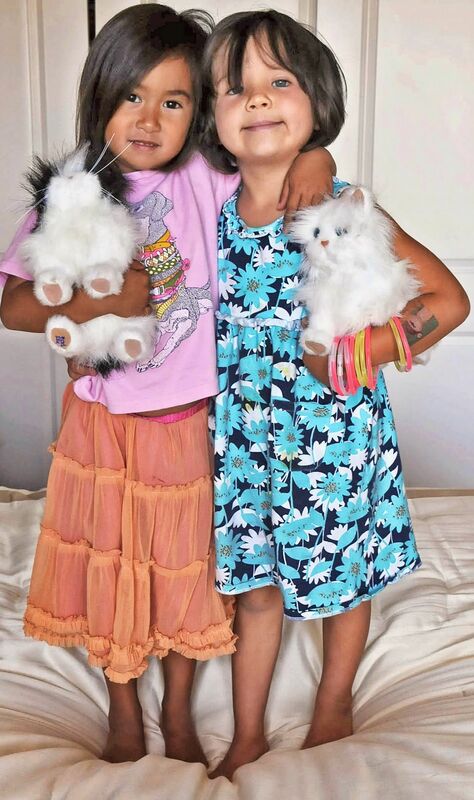 It was a "dress up" party for my five-year old granddaughter Senna (right) and her best friend Eva, life-long pals who know to color coordinate, with their stuffed pets in hand -- and strike memorable poses . . .